If anyone is interested in learning a little Japanese, i wouldn't mind posting a thread once a week with some things i am learning as i proceed in my own studies. So..... how many people are interested? Well I'll go to Japan someday, so I'm interested also. As far as books go... get a GOOD japanese-english dictionary that shows you the Japanese words in Romanji AND Kanji/kana. I pull from a lot of resources, but i think Genki is the best course i have come across. OK, seems as if a lot of people are interested. I'll do the first post tomorrow morning. 3 alphabets will be difficult to learn I take it. I'm neutral at this >.> it would be fine fixing a few things, but I do know someone to teach anyways. I'd be very interested in learning Japanese myself so I'd really appreciate it. ...this thread looks pretty old. I'm not sure the OP is even around anymore? But when I get home in a week i could post some lessons/info from my Japanese textbook (genki) if anyone is interested. [MENTION=192]moi[/MENTION] please do...It would be a great help. Will do. 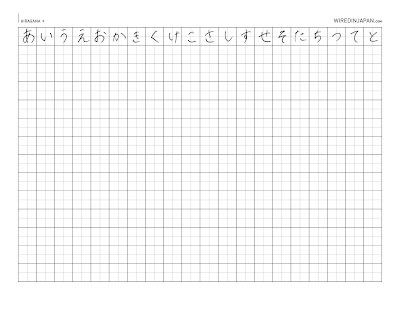 I also recommend that anyone interested start by memorizing and practicing hiragana. 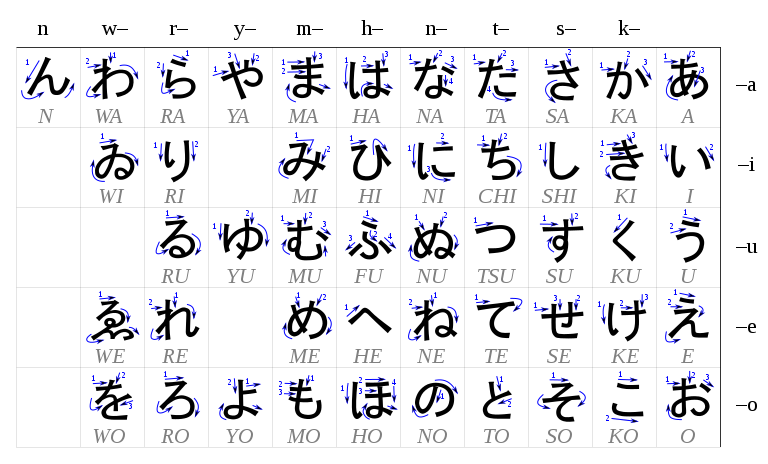 Here is a table of hiragana, including the stroke order. One last piece of advice is to repeat the character or symbol in your head or out loud each time you write it. And language learning always requires constant practice and repetition.